Should You Chow Down Or Put That Fork Down?! It’s Wednesday, that means it’s time for another round of Restaurant Report Card! This week we checked out Chesterfield Township. Action News Reporter Andrea Isom went through the latest health inspections. We stopped by a pizza place, a tavern and a neighbor grille. 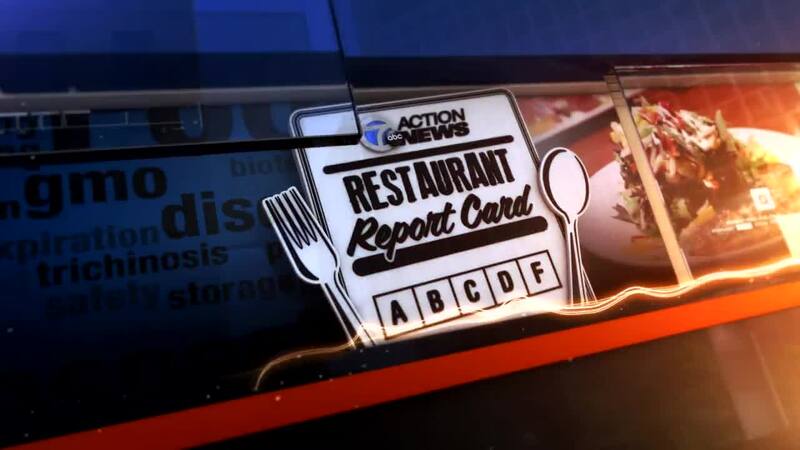 CHESTERFIELD TWP, Mich. (WXYZ) — It’s Wednesday, that means it’s time for another round of Restaurant Report Card! This week we checked out Chesterfield Township. Action News Reporter Andrea Isom went through the latest health inspections. We stopped by a pizza place, a tavern and a neighbor grille. Our mission, looking for ones with the most priority violations and searching for some perfect scores. First up was Passport Pizza, home of the Big Ben. They had six priority violations on their last health inspection, including plumbing problems, workers consistently not wearing gloves and more. The manager plans to have a sit down with the staff and tell them to step it up. Next we visited Wintergarden Tavern East, which also had six priority violations. Those include food not property marked, dirty surfaces and more. The manager, Steve, said all of them have been corrected. Finally, Andrea checked out Ravis Grille, which got an A on our Restaurant Report Card. Jet’s Pizza, DW Seaton Dr.